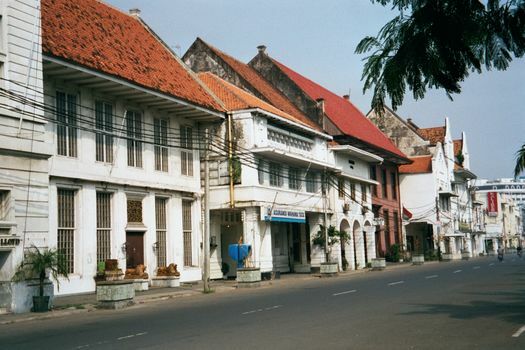 The Kota is the formerly walled part of Dutch Batavia. 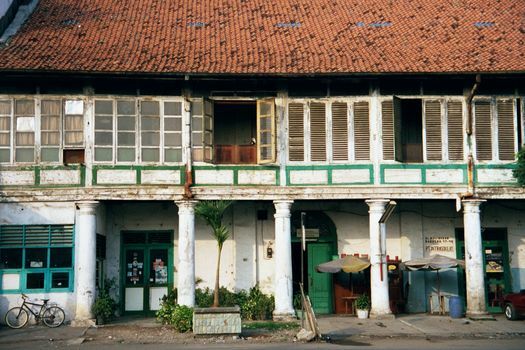 It's heavy with administrative relics and colonial atmosphere. 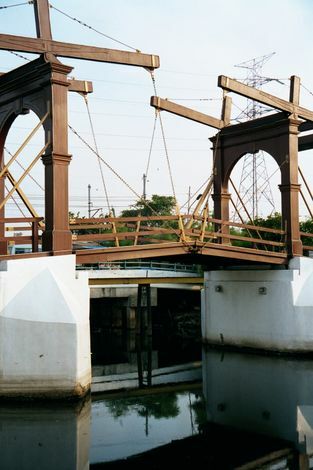 The Kali Besar or (not so poetically) Big Canal. 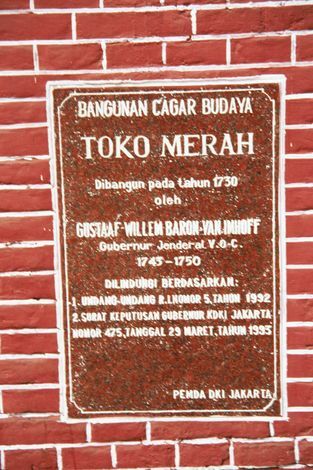 Jan Pieterzoon Coen was the first governor-general of Batavia, and it was under his direction that the Dutch began imposing a Dutch town atop Vijayakarta. We've seen some of the Dutch handiwork, but a lot more reaches upstream from this, the Chicken Market Bridge, built in 1655 and the only surviving bridge of its time. The Kali Besar upstream a few minutes' walk from the Chicken Market Bridge. 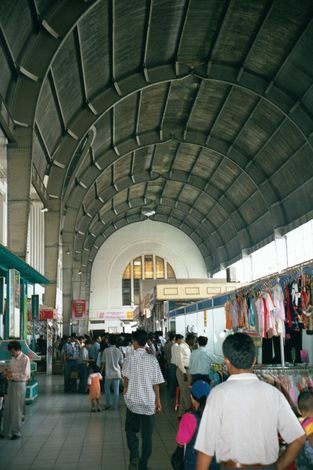 The buildings are shops down, homes up, with rooms atop the shaded colonnades. A close-up of the form. 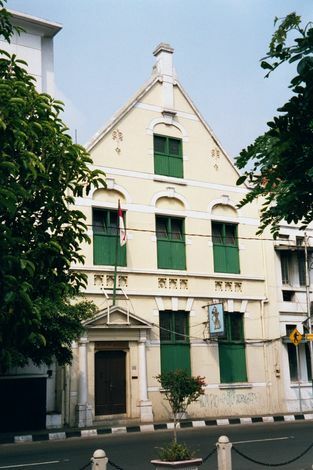 A few of the buildings have characteristically Dutch gables. Another instance, not so well-preserved. 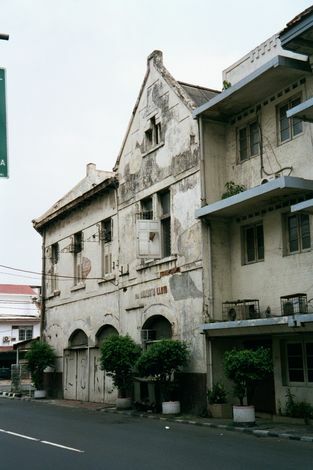 Some of the buildings have their gables parallel to the street; others, perpendicular to it. Note the red building midway down the street. 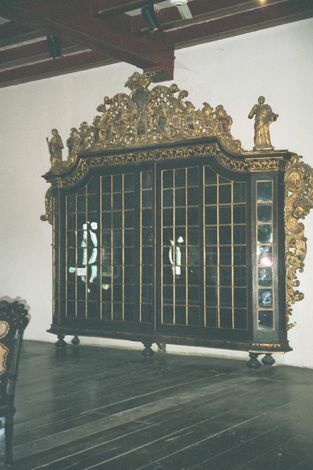 It's the Toko Merali, or Red Shop (1730). 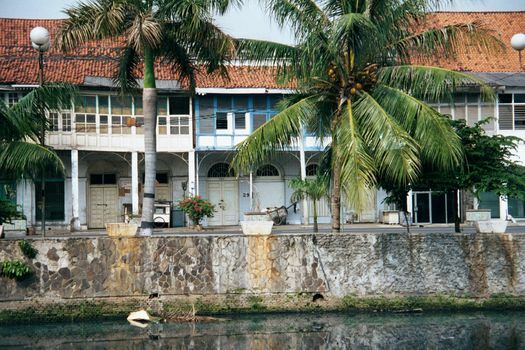 Actually it was a duplex, though both halves were occupied at one time by Baron Van Imhoff, governor-general in the 1740s. To the east of the canal, the Dutch built a large square. 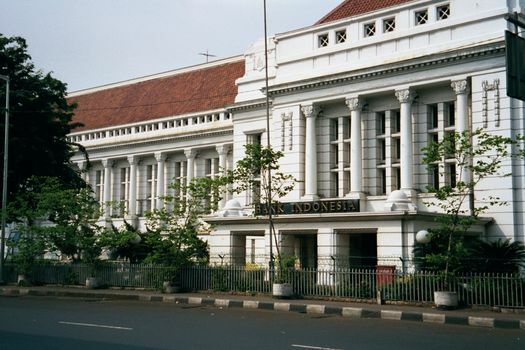 On its east side was the hall of justice built in 1870 and now a fine-arts museum. 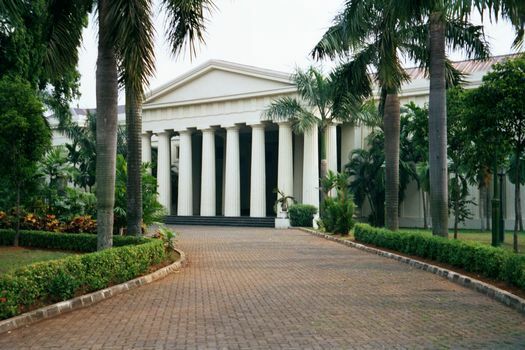 The nearby Supreme Court is even older, built in 1848 and still in the business. 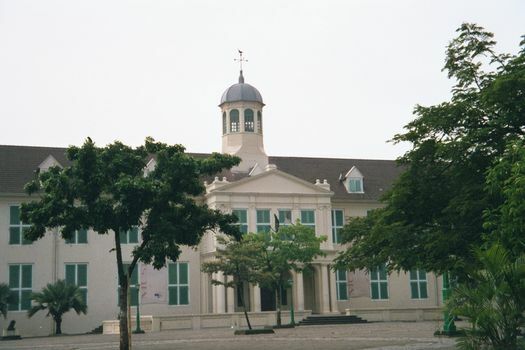 On the south side of the square was the Stadhuis or city hall. 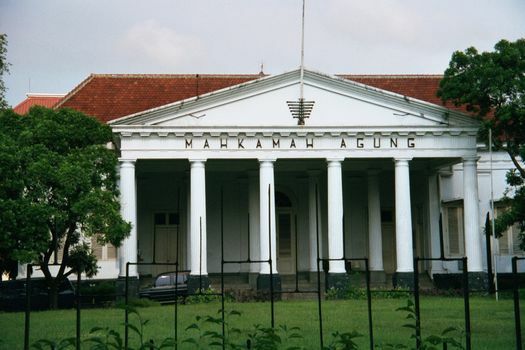 Older still--built in 1710--it's now the Jakarta History Museum. 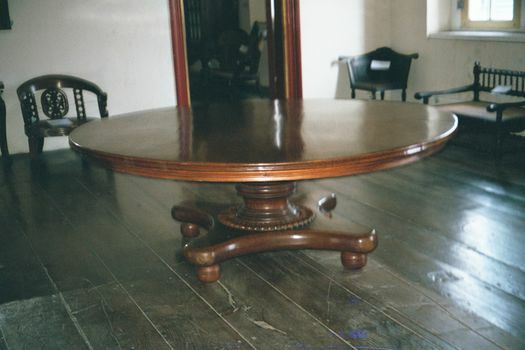 Upstairs, there's fine cabinetry, probably made by Chinese craftsmen. Another example of their handiwork. 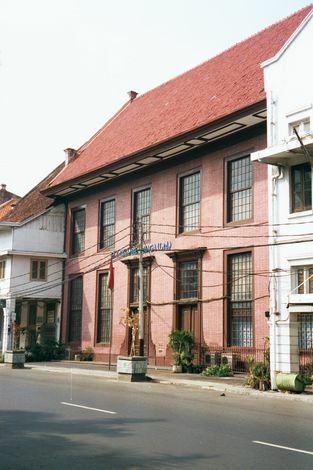 A late addition: Bank Indonesia, built in 1910 as the Java Bank but renovated in the 1930s. 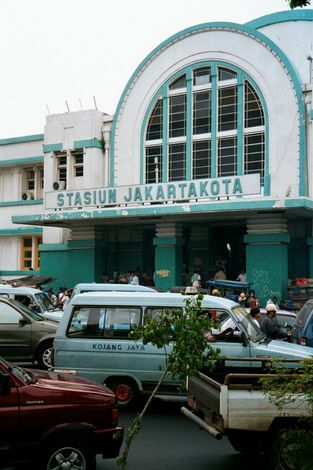 The stasiun kota, or city station, was built in 1919. The architect, F.J.L. Ghijels, appears to have known the Helsinki Station of 1904, designed by Eero Saarinen. 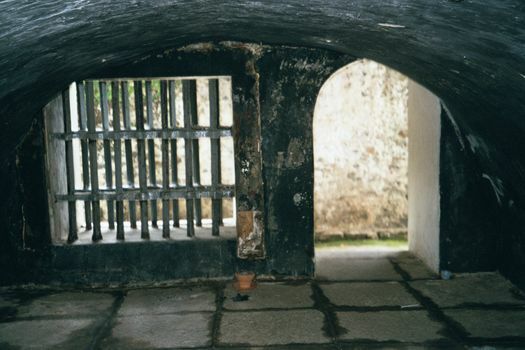 The barrel-vault girders were imported from the Netherlands.